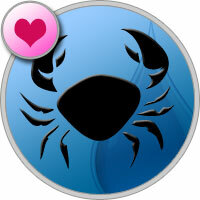 Cancer love horoscope offers not to be modest: you have the right to personal happiness. Do not avoid new acquaintances, be active and active, but follow a reasonable measure. Energy of the day favors love relationships. Do not skimp on compliments and tokens, but do not overstep the boundaries of what is permitted. The love energy of the number 1 indicates a passion in a relationship. A strong feeling is the basis of any happy union, therefore it is necessary to constantly feed the interest of the partner to yourself.